The Quaid-e-Azam and Ziaul Haq were two leader­s who knew what Muslim­s wanted and gave it to them. This past week marked two anniversaries, that of Pakistan’s birth and that of President Ziaul Haq’s death. This is typical and Zia tends to pick up the blame for conditions in Pakistan’s society. But the fact is that the Hudood laws remain on the books. Pakistan Studies and Islamiat also remain in textbooks. Why? The answer is that Ziaul Haq gave Pakistan what it wanted. Liaquat Ali Khan and the Muslim League gifted Pakistan the Objectives Resolution, committing to align law with Sharia. Ayub Khan wrote the law restricting non-Muslims from becoming president. Zulfikar Ali Bhutto stopped non-Muslims from becoming prime minister. His law on Ahmadis need not be referred to other than to remind readers that it was both democratic and unanimous. All elected and unelected Pakistani leaders have generally moved in the direction that Zia also did. But he did it less hypocritically than others. 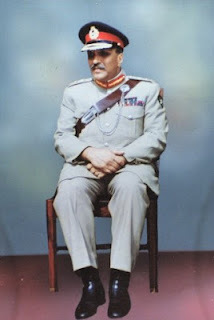 After his death, a hagiography (“Shaheed-ul-Islam Muhammad Ziaul Haq”) was published by Zia’s friends. The contribution from Nawaz Sharif, which I suspect was written by Husain Haqqani, praises Zia for being like Allama Iqbal. Zia believed in the reconstruction of religious thought, writes Sharif, though I think that’s doubtful. In the same book, Zahid Malik writes that though seen as a nuclear hawk, Zia was willing to sign the non-proliferation treaty (NPT). His conditions were: 1) South Asia be declared a nuclear-free zone, 2) India and Pakistan sign simultaneously, 3) The two also sign a bilateral non-proliferation treaty, 4) The two allow international inspectors to check each facility and 5) The two renounce the use of nuclear weapons. I think this was a wise proposal, even if Zia was saying this to escape the United States’ pressure on signing the NPT. If India had accepted, we would have a less unstable subcontinent today.